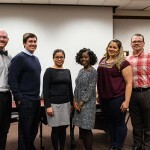 The College of Social Sciences will host its first-ever Graduate Student Colloquia and the second installment of the Dean’s Symposium this semester. 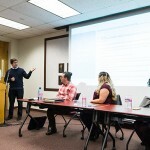 Using RSCA-infusion funding, the College of Social Sciences created the faculty and graduate student speaker series to raise awareness of research in its departments. 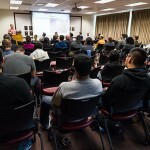 The College also launched a centralized RSCA website – the Applied Research Center or ARC website – to provide information to student and faculty researchers on internal and external funding opportunities while also highlighting recent RSCA accomplishments. The website also includes research-centered profiles of CoSS faculty. The College of Social Sciences Dean’s Symposium on “Social Support and Adjustment to Stressful Life Experiences” is Wednesday, May 4, from 4:30-6:30 p.m. in Clark 222. 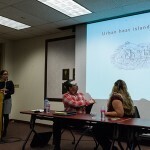 The presentation will address the ways in which people provide and receive social support in order to cope with and adapt to stressful life experiences. Light refreshments will be served. For more information, email ruma.chopra@sjsu.edu.